SAN ANTONIO, December 6, 2018	(Newswire.com) - Kairoi Residential, a vertically integrated multifamily company headquartered in San Antonio, today announced the launch of its boutique third-party property management service aimed at managing unique high-end assets located in Austin, Dallas, Denver, Fort Worth, Houston, and San Antonio. “Our team has decades of experience with high-end assets, we know they have different needs than commodity projects. These communities can produce higher rents but only when managed strategically to provide residents with a decidedly different level of service that exceeds expectations. While this sounds easy, it isn’t. With the rapid growth of many property management businesses over the course of the last ten years, there are very few options that are small and agile enough to provide such a differentiated service. Our company size and framework allows us to be focused, strategic, and deeply involved in the business plans for each asset. We recognize the need for this type of specialized resident/client service. There’s nothing like it in the country, and this boutique approach is where we will set ourselves apart from other operators,” said Kairoi Residential CEO, Michael J. Lynd, Jr.
Kairoi has managed high-end assets all over the country that have allowed ownership to execute record-setting sales on a per foot and per unit basis in Austin, Chicago, and Denver. The company attributes these record-setting sales prices to the high performing, resident-focused, boutique management style employed at each asset. Kairoi’s management brand is anchored by a deeply experienced executive leadership team, regional leadership with small portfolios allowing for an intimate level of oversight, and on-site teams that are focused on customer experiences through a unique blend of social programming and personalized attention—ultimately driving higher satisfaction and positive reviews from residents. 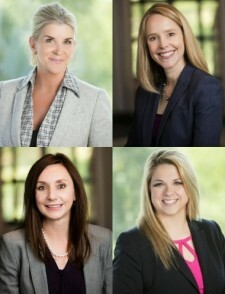 The Kairoi Management team is led by its San Antonio-based Executive Vice Presidents, Kari Warren and Tammy Freiling. Kairoi’s Regional Vice Presidents, Tracey Dodson and Julie Tatom, will oversee regional property operations. Combined, these leaders have over 60 years’ experience in their field and possess experience at some of the most exclusive assets in the country. “Kairoi possesses a track record founded upon documented success in managing multiple product types, most notably Class A urban assets. We have assembled a highly accomplished leadership team that has superior market knowledge and bench strength to assure the assets we manage are performing to their potential. Given our size, we have the ability to be agile and use best-in-class systems and technology—using advanced analytics and reporting around our leasing, marketing, and customer insight process to maximize revenue and optimize expenses. We care and consider ourselves the stewards of your business. That is the Kairoi difference,” said Kari Warren, Executive Vice President. Kairoi Residential recently launched their new corporate website designed to highlight each vertical while sharing its unique brand and mission. Visit www.Kairoi.com for additional information on the company as well as LinkedIn to connect to members of the Kairoi team. Kairoi Residential is a partner-led company with a unified approach to investing in, developing, and managing multifamily communities.